Every morning I wake up with this question on my lips. What did he do now? That’s the kind of confidence our erstwhile President brings out in me. He was going to deport the bad guys – criminals, murderers, rapists, drug dealers. Instead he’s deported a wife and mother who had been living in America for two decades. What was her crime? Raising her family? Working and paying taxes? Now he’s deported a young man, one of the dreamers, who has spent virtually his whole life here. And what was his crime? 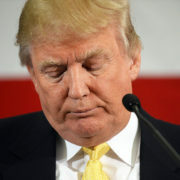 https://alanmesher.com/wp-content/uploads/sites/4/2017/04/donald-trump.jpg 421 636 Administrator https://alanmesher.onestopclients.com/wp-content/uploads/sites/4/2015/10/logo.png Administrator2017-05-01 23:05:552018-12-26 12:59:13What Did He Do Now? World War 3: Will it happen? Has already begun? In 1871 Albert Pike head of the masonic order in the west wrote a letter to Giuseppe Manzini, head of the masonic order in the east. This letter provides the context that allows us to put into perspective what has already begun to happen in the world. It is a very serious document. I have reprinted the key parts of that letter in its entirety. This letter underscores how serious the Nice terrorist attack is and what is happening in France and Europe as a result of that attack. 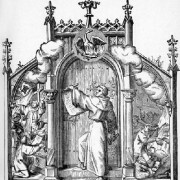 https://alanmesher.com/wp-content/uploads/sites/4/2016/07/Martin_Luther_Nailing_Theses.jpg 507 398 Administrator https://alanmesher.onestopclients.com/wp-content/uploads/sites/4/2015/10/logo.png Administrator2016-07-20 21:21:262016-07-20 21:21:26World War 3: Will it happen? Has already begun? Welcome to my completely revised website atwww.alanmesher.com. It has been streamlined and redesigned and is full of interesting content and offerings. To celebrate the redesign by my friend Kyle Haas at www.onestopsiteshop.com I’m offering you a bargain that I have never offered before. For a limited time you can purchase two of my best-selling books for $19.95 + $3.00 s&h. Normally, purchasing both books would cost $34.95 plus $6.00 s&h. That’s a savings of 56%! These two books will help you understand why destructive, limiting patterns exist in your life. These life long patterns are difficult to overcome and persist for reasons you may never have considered. 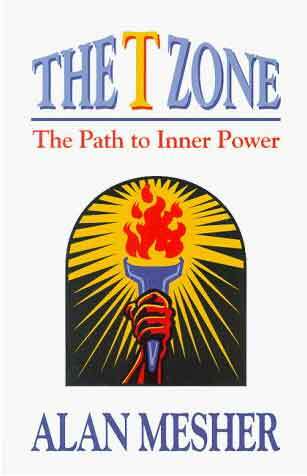 THE T ZONE will point out these patterns, describe how they came to be and give you many real world examples of people who have overcome theirs and gone on to lead fulfilling lives. JUST WHO DO YOU THINK YOU ARE? 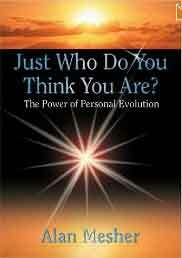 will show you how to overcome them, elevate your life, and attain spiritual growth. You will learn techniques that will help you find inner peace, develop a strong inner center and enhance your spirituality. So, if you’re serious about growth and if your well-being and life fulfillment matter to you, then these two books are must reading. They are based on thirty years of real world experience as an energetic healer. They are not pie in the sky spirituality. They are not theoretical. Instead, they are based on what really works in people’s lives. 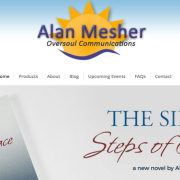 So please, click here: www.alanmesher.com/books/ and take advantage of this time sensitive offer! 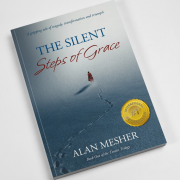 And if you haven’t yet read my amazon #1 International Bestseller, THE SILENT STEPS OF GRACE, now is the perfect time to purchase it. I think you will find it to be one of the most engaging books you’ll ever read! Did you know that Walnuts are a superfood? Here’s why. Walnuts are a rich source of Omega 3 and Omega 6 fatty acids, in particular alpha linolenic acid or ALA. Those who eat an ALA rich diet have an almost 50% reduced risk of sudden cardiac death. Walnut consumption supports healthy cholesterol levels. Eating walnuts significantly lowers LDL. Walnuts contain a high amount of a type of Vitamin E called gamma tocopherol, Gamma tocopherol provides a great deal of protection for the heart. Walnuts also inhibit cancer development, slow its growth and lead to cancer cell death. Walnuts are highly beneficial in treating both prostate cancer and breast cancer. They also appear to protect the brain from Alzheimer’s disease. Walnuts increase the functionality of at least fourteen neurotransmitters. They improve memory, learning ability, anxiety and motor development. 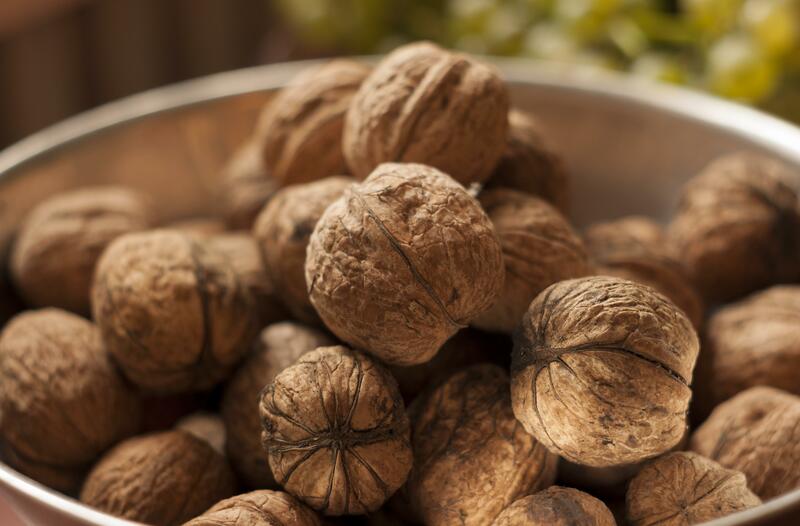 In addition, walnuts also improve sperm quality in men. How much should you eat a day to gain all of these incredible benefits? A handful or two does the trick! When it comes to politics nothing is what it seems. President Franklin Roosevelt famously said, “There are no accidents in politics. If it happened, it was meant to happen.” The Paris terrorist attacks of last Friday may well fall into this category. Read this link and you’ll see what I mean. I wish you and your family a most fulfilling and happy Thanksgiving. #1 International Bestseller in 14 Categories! In two short days my novel, THE SILENT STEPS OF GRACE, has achieved a #1 International Bestseller ranking in 14 different categories on amazon.com. If you haven’t yet had a chance to download this beautifully written and compelling story you can still do so for $.99 before this deal disappears forever. Not only will you get a story that I spent 10 years writing for less than the price of a donut, but you will also receive several bonuses that will enhance your reading experience. Historical, fiction, metaphysical insights, love, romance, loss, tragedy, political intrigue, THE SILENT STEPS OF GRACE has it all. $.99. For those of you who have already purchased THE SILENT STEPS OF GRACE, I thank you for your support. https://alanmesher.com/wp-content/uploads/sites/4/2015/08/featuredbook.png 630 569 Administrator https://alanmesher.onestopclients.com/wp-content/uploads/sites/4/2015/10/logo.png Administrator2015-08-02 19:11:412015-10-30 17:51:18#1 International Bestseller in 14 Categories! My novel, THE SILENT STEPS OF GRACE has just reached #1 International Best Seller Status on amazon.com. For a short time only you can purchase the kindle version of this tremendous tale of tragedy, triumph, and transformation for only $.99! You will also receive several free bonuses with your purchase. Virtually everyone who has read THE SILENT STEPS OF GRACE has loved it. Many have written that it is the best book they have ever read. Several people have read the book several times. One reader wrote that it was worthy of a Nobel Prize. Several others have said it changed their lives. Many experienced a deep emotional release while reading the story. Many people said they read the book slowly because they wanted to savor every sentence and they didn’t want the story to end. It is that powerful and moving. So please join me in my efforts to make THE SILENT STEPS OF GRACE a huge international success. For $.99 you can’t go wrong. Here’s the link for this special offer. Enjoy the read. Thank you for your support. https://alanmesher.onestopclients.com/wp-content/uploads/sites/4/2015/10/logo.png 0 0 https://alanmesher.onestopclients.com/wp-content/uploads/sites/4/2015/10/logo.png 2015-07-31 19:20:402015-07-31 19:20:40#1 International Best Seller!! I want to share a true and amazing story with you about life, death and love. On May 5, 2015 my fiancé Darci and I brought Champ, our two year old Daschshund, into Coral Springs Animal Hospital in Coral Springs, Fl. for surgery to repair a defective pulmonary valve in his heart. This defect threatened to end his life very early. The cardiologist told us in an earlier consult that he had been performing this procedure for fifteen years and had never lost an animal. He said it was “a minimally invasive procedure” and that after it was done Champ should live a normal healthy lifespan. Outside of the heart issue Champ was a very healthy, energetic and active dog with a winning personality. If you didn’t love Champ you didn’t have a heart. He attracted love wherever we took him. He was our little boy. The surgery started out perfectly. Later Dr Carpenter said it was the easiest procedure of that type he had done in years. After making two passes with the balloon to open the valve he decided to make one more pass through the valve opening to open it fully. As he made the third pass something went wrong and our Champie went into cardiac arrest. The Dr. and his staff worked frantically to save him and restart his heart. But they were unable to do so. We got the call about what had happened a few minutes later. We were absolutely devastated. We rushed out to the hospital to say goodbye to our little Champie. Dr Carpenter and his staff came in to speak with us. It was obvious Champs’ death had affected them deeply. Dr. Carpenter’s eyes were red from crying. Later that evening, I called a very special friend of mine in Los Angeles, Dr. Anthony Kennedy. Anthony is European and speaks several languages. Dr. Kennedy is a highly sought after and extremely gifted psychic and psychologist. I asked Anthony if he could see how Champ’s soul was doing on the other side or if there were any consolation he could offer us. Our grief was immense. We were in shock. Anthony didn’t hesitate. “How will I find him, Anthony?” I managed to ask. We started looking on line. There were several sites that had daschshunds for sale or as rescues in South Florida. Unfortunately, we could find none that had a spot above their right eye. It wasn’t looking good. That Friday after a fruitless week of searching, I found a site I had never been on before. A woman in Miami had posted pictures of a doxie litter for sale with an accompanying phone number. I called her immediately and asked if there was a male runt in her litter. She said there was and that he was her favorite. She said he was very sweet, loving and intelligent just as Anthony had said he would be. I asked her if she could send me a few close ups of his face. I received them that evening. Sure enough, there was a spot above his right eye. I called her back and made arrangements to purchase him. We picked him up a week ago. When we met her, I asked if she wouldn’t mind telling me how old she was. “Not at all,” she said. “I’m sixty.” I smiled. Then I told her the story of Champ’s death and what Anthony had told me. She got goose bumps on her arms. “I believe that,” she said and gave me a hug. As soon as we got him in the car, he became very excited and couldn’t stop kissing Darci’s face. When we brought him into the house there was no hesitation or fear on his part. He just took off sniffing and exploring the kitchen and living room. His personality is the same. The things he likes doing are the same. I held him in my lap while he napped the next day and felt his soul energy. At that point I had no doubt about who he was. The energy was the same. He was Champ and he had come home! We have renamed him Romeo. A new life deserves a new name. I can’t tell you how happy he is to be home or how happy we are to have him back again. It is nothing short of a miracle. We owe a great debt to Dr. Anthony Kennedy. Without his profound gifts we never would have found our little guy. Dr. Kennedy has a very impressive resume. He was Psychic Medium to the Queen Mother in the UK for fifteen years. He has read for two sitting US Presidents, several movie studio heads and many A list actors. He has saved many Hollywood careers. He was also the civilian head of LAPD for several years as well. That’s only part of an extensive and impressive resume. Dr. Kennedy will be visiting us in South Florida this summer. Email me at trailhawk@gmail.com if you would like to make an appointment to see him in person when he comes. Slots are limited. First come, first served. If you don’t live in South Florida, or even if you do, you can also make a appointment to have a phone consultation with Dr. Kennedy. He is offering a special rate of $250.00 an hour for a limited time. His normal fee is $300.00. If you wish to make an appointment for a telephone consultation Email me at trailhawk@gmail.com and I’ll provide you with Dr Kennedy’s contact information. As I write this, Romeo is tucked against me on the couch taking his afternoon siesta. He is now eight weeks old. They arise out of nowhere. A full blown highly trained army of 10,000. They are well equipped with high tech weaponry taken from the war materiel the U.S. left behind for the Iraqi army. They have financial resources of approximately two billion US dollars. They have established a caliphate stretching from Iraq to Syria. Their stated intention is to overrun the Middle East and the Levant, which is Israel. So where are the Israeli voices warning of this latest and perhaps greatest threat to their existence? Why are they mute? The US has no plan for dealing with them except to continue airstrikes and train the Iraqis and some Syrian splinter groups to engage them on the ground. Really? That’s it? CNN, FOX News and the US government call this the most dangerous threat to the US existence perhaps ever. The King of Saudi Arabia says that if ISIS is not stopped now they will be in Europe in a month and in the U.S. a month after that. Really? They kill and behead innocents. And they just keep going. Someone’s letting them do this, that’s for sure. The real question is who’s behind them. Franklin Rossevelt once famously said, “There are no accidents in politics. If it happened, it was meant to happen.” Make no mistake, ISIS was meant to happen. In 1872 former Confederate General Albert Pike, head of the Masonic order in North America wrote Giuseppe Manzini in Italy, the founder of the Mafia, about the need for three world wars before they would be able to create The New World Order and One World Government that has been Illuminati’s goal for seven thousand years. The first two wars occurred just as Albert Pike described they would in 1872. The third world war is to be fought between Islam and Christianity and turn the world into an inferno which very few people would survive. The last crusade, if you will. The end of WW3 will pave the way for the establishment of the New World Order. Do I think WW3 could happen? Absolutely. Do I think WW3 will happen? At this point, I don’t feel it and don’t think it will. But all that could change. Time will tell. The Powers That Be will do everything they can to make it happen. Parallel to the growing terrorist threat in the mideast Putin is also doing his best to scare the bejeezus out of the world. He has placed 72,000 troops on the Ukrainian border on the pretext of protecting Russian citizens living in Ukraine. Last week he boasted to European leaders that he could give his troops marching orders and be in five capitols in two days. Hitler ominously used the same pretext of “protecting” German born citizens in the Sudatenland to invade Czechoslovakia and start WW 2. Of course, the real reason Putin wants the Crimea peninsula is to steal the oil and gas that are just offshore in the Caspian Sea. That oil is potentially worth trillions of dollars. Wars have been fought over far less. The same situation exists in the Senkaku Islands located in the East China Sea that Japan and China are fighting over. There is enough oil and gas in the offshore area around the Senkaku islands to fulfill all of China’s needs for forty-five years. Japan, of course, has to import all of its oil. The potential for war between these two perennial enemies is real and ominous. So there we have three areas of the world where serious wars could take place. While these events are unfolding and the stakes in the war on terror get racheted up to terrifying levels the world has forgotten the greatest ecological disaster in known history, Fukushima. Fukushima may have fallen out of the news but plutonium, strontium and cesium continue to fall into the Pacific Ocean in record amounts. These deadly radioactive particles also rise into the air bringing these silent killers to the west coast. Eventually they will spread across the whole planet. Fukushima has not been contained and will not be for decades. There is no known solution. The collective radiation spilling out of it’s reactors may be invisible but its consequences may well spell doom to much of life as we know it. The world now stands on the edge of a perilous cliff. The danger is real and growing. What can you do? First, don’t panic. Keep your head, stay centered and grounded. Work diligently to dispel the negative emotional blocks hidden in your body, your subconscious mind and your energy field. Meditate and clear this negativity. Raise your vibration. The more of us that open ourselves to the Light from above the more influence and power the Light will have in this world. We are all responsible for healing the world. Our power lies in the fact that we have a soul and when we connect with the light in our soul we each are a force to be reckoned with. When we stand together we are unstoppable. That is the only way to heal our our lives and heal this world. It’s simple really. You don’t get what you want because your hidden subconscious beliefs interfere with, undermine, and cancel out your conscious intentions. Your mind is like an iceberg. One eighth of the iceberg sits above the water line. Seven eights sits submerged below the water line. The one eight above the water line is your conscious mind. The seven eights submerged below the water line is your subconscious mind. Guess which one is stronger? The subconscious will always win. As long as there are countervailing beliefs hidden in the subconscious computer, the subconscious will program your reality so you don’t get what you want. You will simply experience more of the same. There will be no change, or very little change. Certainly, not the movement you had hoped for. Sometimes, these hidden beliefs have to do with past experiences that occurred in this lifetime. If we get quiet and ask our intuition what is causing this issue we may remember a past event that created a negative belief in our subconscious. Many years ago I had a phone client from Idaho who was agoraphobic. When our session began I transmitted the healing energy to her over the phone and took her back to a traumatic event she had completely suppressed and forgotten. Her then husband had taken her to the hairdresser in town. He dropped her off and kept on going, abandoning her without warning. He never came back. It was a terrible shock to her system. She remarried a few years later but was unable to leave the house. Her fear of abandonment had made her agoraphobic. She had been the prisoner of her agoraphobia for thirty years. As the healing energy began to penetrate deep into her subconscious I took her into the emotion of her repressed trauma. Within minutes she was sobbing and screaming. Her emotional release lasted for the rest of the session. When we finished she was at peace with herself. The next day she was able to go fishing on a nearby lake with her husband. Her agoraphobia of thirty years was cured. In other cases, these limiting and undermining beliefs are hidden deep in the soul. They have their origin in other lifetimes. These kinds of hidden beliefs are much harder to find and resolve. It is an area I have specialized in for over thirty years. Some years ago, I conducted a healing workshop at the University of Illinois. Among the participants was a young heavy set woman who had been trying to lose weight for years. No matter what she did or what affirmation she repeated thousands of times to her subconscious mind nothing changed. She couldn’t stop eating. Her eating compulsion was destroying her life leaving her distraught, depressed and feeling powerless. When her turn came to get on the healing table I started by transmitting energy to her central nervous system. A few minutes later she was deeply relaxed. I could see she had a big energy block in her solar plexus so I put one hand one top of her navel area and my other hand on her back under the solar plexus. A moment later she was back in another life, a little Indian girl in a village high in the Andes mountains. There was little food for the villagers and she starved to death. When she re-experienced the events of that lifetime she sobbed for a long time. When she got up from the table she was still quite shaky. I received a call from her a month later. Her eating compulsion had disappeared the day of the workshop and never returned. She had lost twenty pounds in the month since the workshop without trying. When you find the cause of your subconscious resistance and release it, getting what you want is often effortless and sometimes miraculous. Your mind is the source of your fulfillment and abundance as well as the cause of your undoing. Which path will you choose? If you’re ready to elevate your life, heal your subconscious patterns of limitation and lack then please call me. I do all my sessions over the phone so you can work with me from the comfort of your own home and from any location in the world. My normal rate is $275.00 per hour. Until August 1st the first session is $225.00. A savings of $50.00.